It’s a full house in Ernest Dining Room. Busy bodies are everywhere, excitement obviously in the air. The linens of Ernest are still as white and crisp as I recall them to be during my years as a student. Faces are familiar; the warm memories come flooding back. I am momentarily lost in a haze of bliss. This is where my love for food began. Sadly when I completed my Culinary Arts Diploma back in 2005, the Chef in Residence program had not been established. 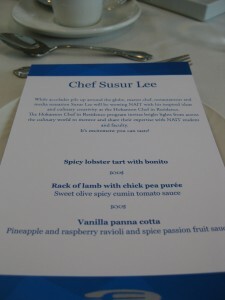 Since its inception in 2009, NAIT has already invited 3 guest chefs. It is an unforgettable experience for students, instructors, and those who get to enjoy the fruits of their labor. 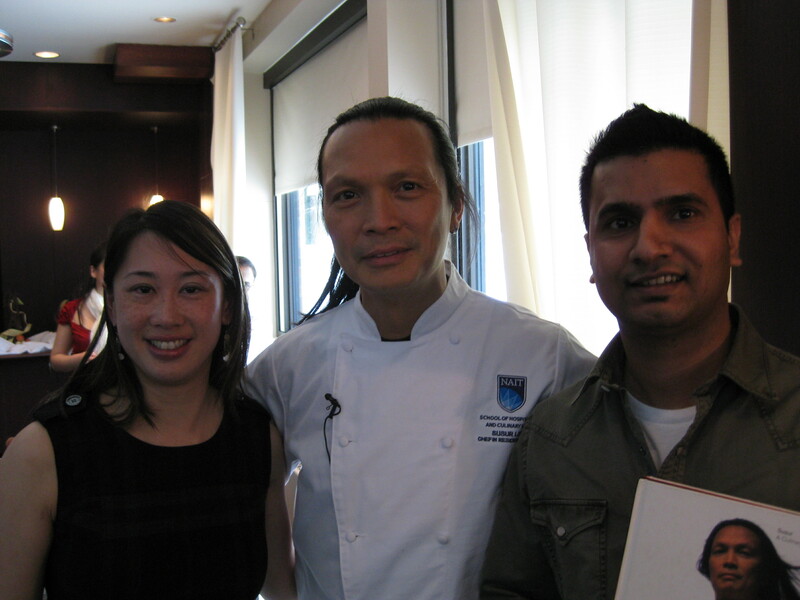 Our table is in a prime spot near the head of the restaurant, and consists of some well known local foodies, Miles Quon, Sharon Yeo, Liane Faulder, Mary Bailey, Valerie Lugonja, and Kevin Kossowan. Mr. Townsend (yes, I’m old school and still address Stanley as mister) sits at the head of our table, and graciously guides us through each course, explaining the colorful thought process of Chef Susur Lee. 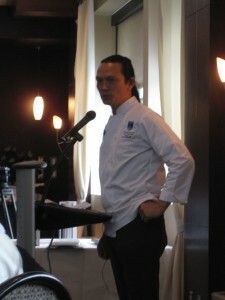 We also learn that Chef Lee is easy-going, patient, and is excellent with the students. 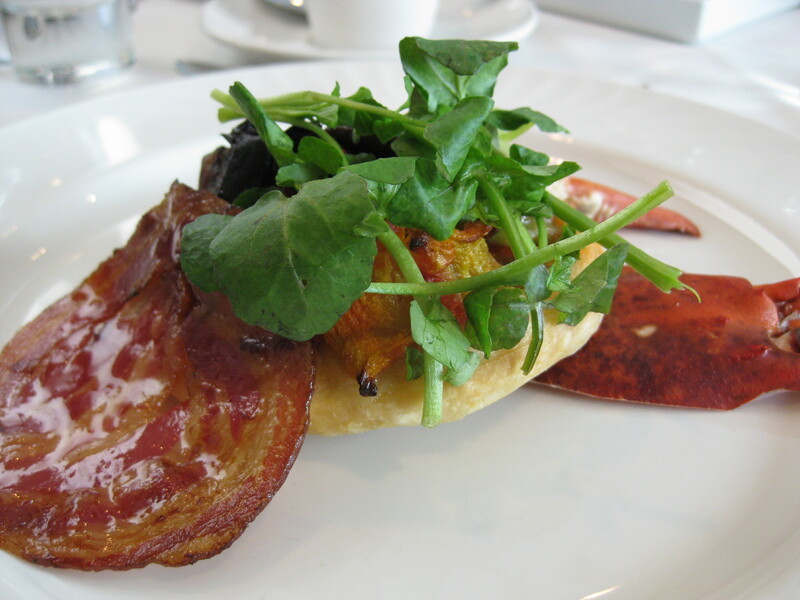 Our lunch begins with Spicy Lobster Tart with Bonito. This innocent looking tart had such incredible bold-flavors which were uncovered by each successive bite. Our next course is Rack of Lamb with Chick Pea Puree. The grand finale, and my favorite course of the day, is Vanilla Panna Cotta with Pineapple and Raspberry Ravioli. This is the first time I have seen such innovative presentation. 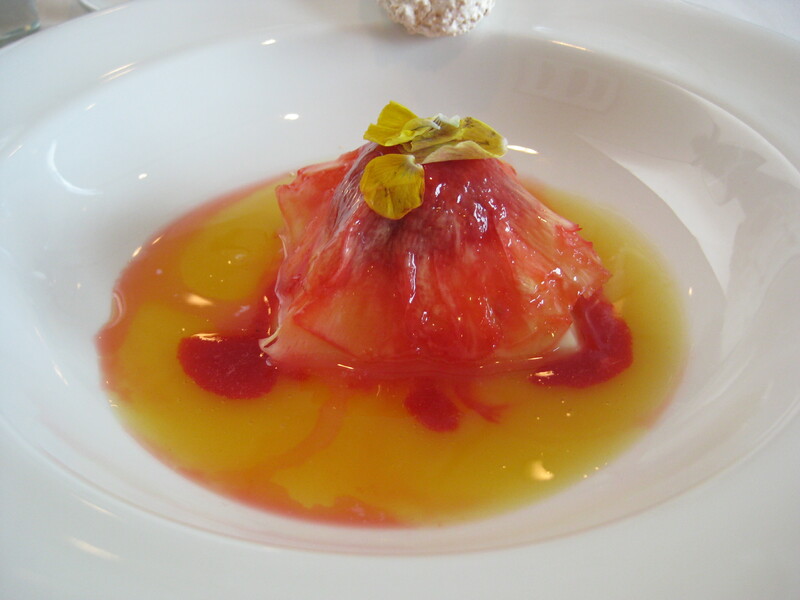 The thinly sliced pineapple wrapped the panna cotta dome, like a skirt, as Liane chicly described it, was deliciously topped with a mouth watering fruit sauce. The amount of gelatin used in the panna cotta was perfect. Alas, all good things must come to an end. No thank you can express what a privilege it was to attend such an astonishing once-in-a-lifetime event. 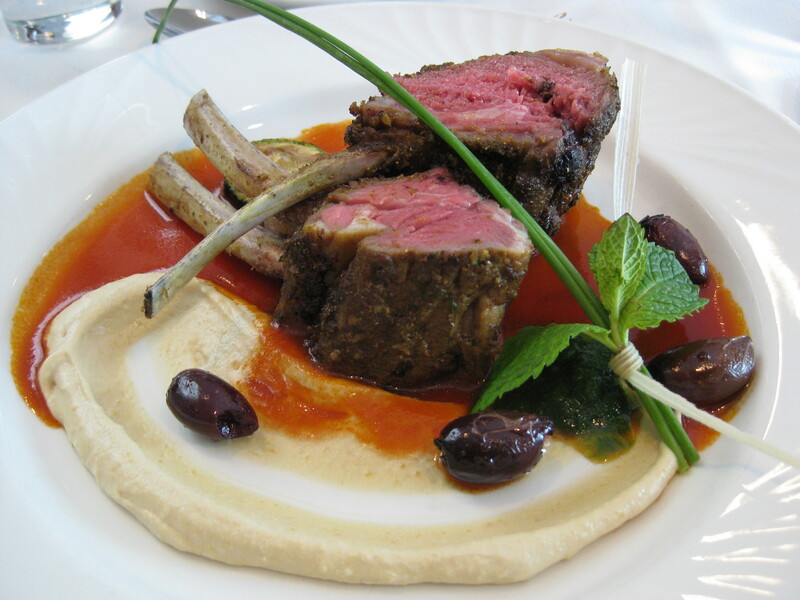 The event itself was flawless, the food which was laboriously prepared by the students of NAIT was amazing, the atmosphere was majestic, and the good company will be remembered forever. It was truly an honor to be there. Those with peanut allergies, you’ve been warned. If you want to experience one of the best made-to-order, fast food style burgers you must wade through waves of peanut shells on the floor and sweep them off your chair and table. Alright, I’m slightly exaggerating, but if you do have peanut allergies, it will definitely be detected in the air. 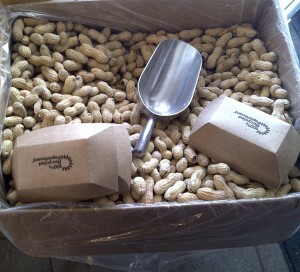 Why, might you ask, does a restaurant openly offer peanuts to a world that is increasingly allergic to peanuts? To keep with their tradition. It’s good to see that some things never change. 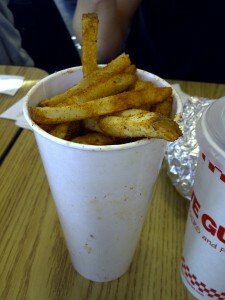 When you enter Five Guys Burgers and Fries, you may be greeted by a line-up of hungry patrons. Don’t worry, the line moves fairly quick. Grab a handful of peanuts and read the many comments on the wall from acclaimed magazines across America. The menu is pretty basic, choose between a single aka “little” burger, or a double which comes standard. Pick your additions such as cheese or bacon, then toppings. Simple. Or so you think, until you start to imagine all the combinations and flavours you can customize. I opted for the “little cheese” with all the toppings except mushrooms (nothing against mushrooms, it just didn’t feel like a mushroom kind of day). 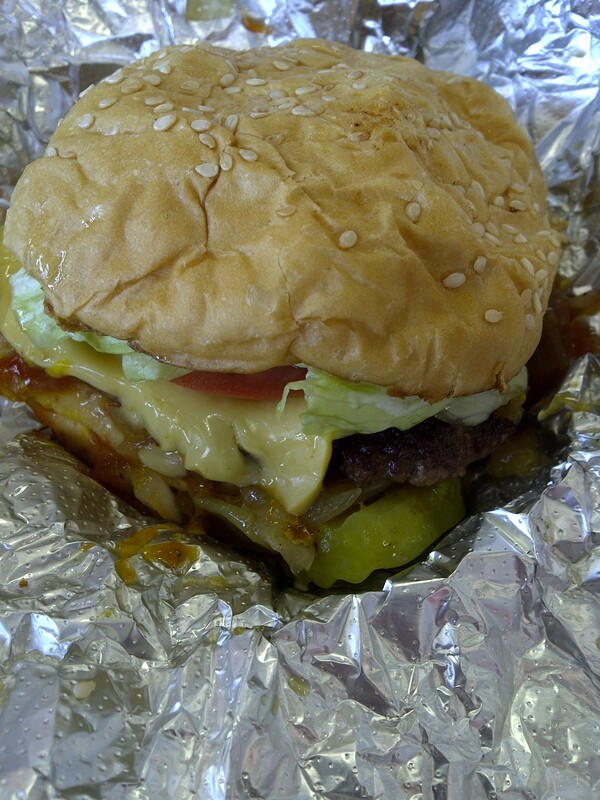 According to Five Guys, “everything” includes mayo, lettuce, pickles, tomatoes, grilled onions, grilled mushroom, ketchup and mustard. Extra topping such as jalapeno peppers and A1 sauce, just to name a few, are also available. The best part is all toppings are free, and not only that, but fresh. This burger which was pre-conceived to be simple and straightforward has now become this gigantic mass of fresh veggies, bold flavours, and deliciously cooked 100% fresh beef. The grilled onions, versus your typical raw onions were a nice touch, and tasted more caramelized than grilled. 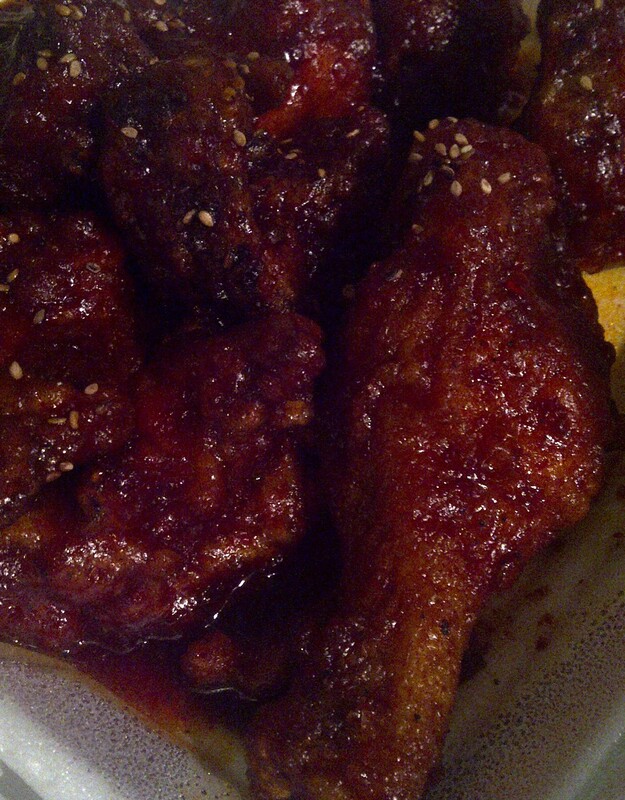 Juicy, messy, and lip-smackingly delicious. This is a pretty damn good burger. Yes you may have to table hover for a place to sit, and wait around 5 minutes for your order number to be called out, but for the taste and price they are offering, these burgers are worth it. 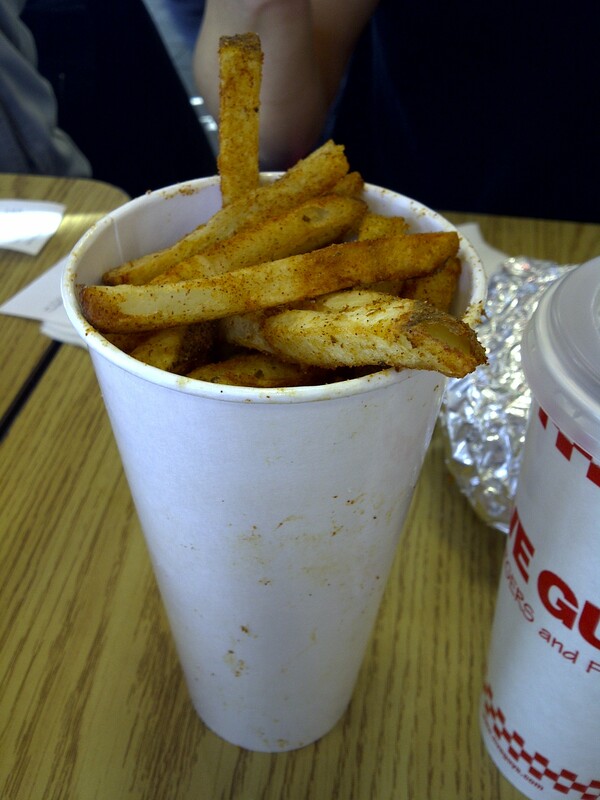 Don’t forget your side of Cajun style fries. Crispy, zingy flavoured, medium-cut potatoes with skins on the end. Wash it all down with lemonade. That’s right, someone remembered that Canadians love lemonade too!